The University of Iowa Women’s Resource & Action Center is home to the UI Womxn of Colour Network Program Series. 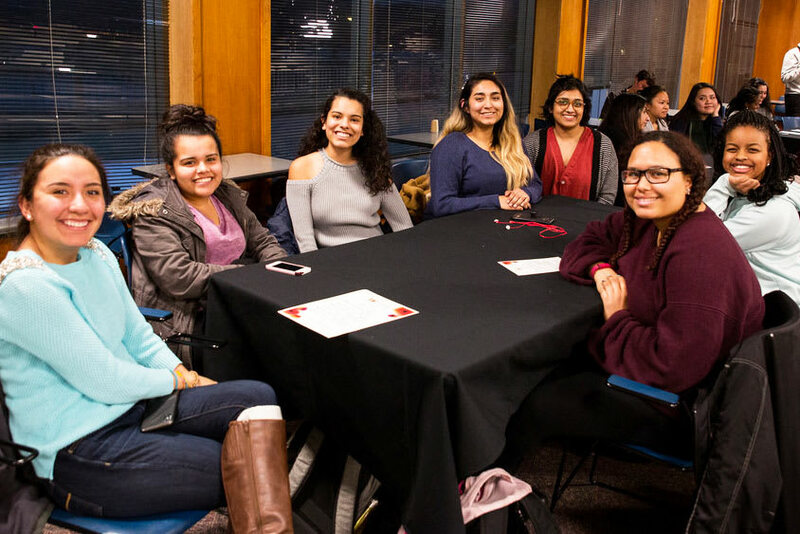 This program launched in Fall 2018 with the start of the WOCN Welcome Mixer at WRAC with an attendance that filled the house with students, faculty and staff womxn of colour. The monthly programming consisted of successful attendance and authentic ethnic dinners from local restaurants. Through the co-creation of a supportive community of womxn, individuals will have the ability to explore their racial, ethnic, and cultural identities, share lived experiences, and discuss what it means to be womxn of colour in our campus community while sharing space during dinner.
" Facilitating for the Womxn of Colour Network has been a wonderful experience. 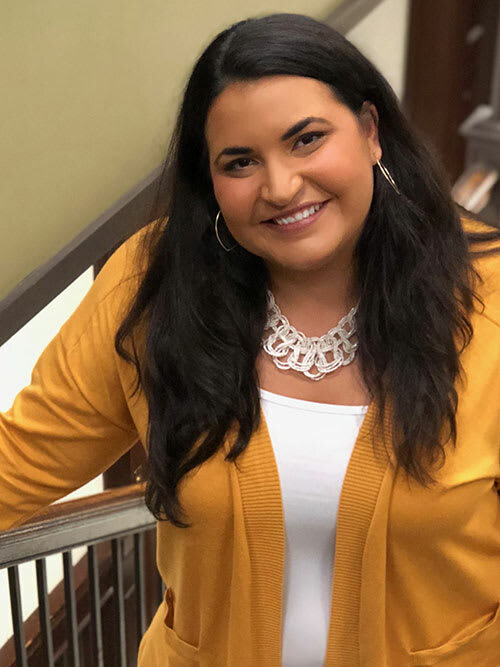 It has allowed me to create positive and lasting relationships with other staff, faculty, students, and community members with whom I have shared identities and experiences that otherwise I may not interact with at a place as large as Iowa. It also gives me the opportunity to give back to my community to elevate the power narratives and experiences through story sharing and reflection." 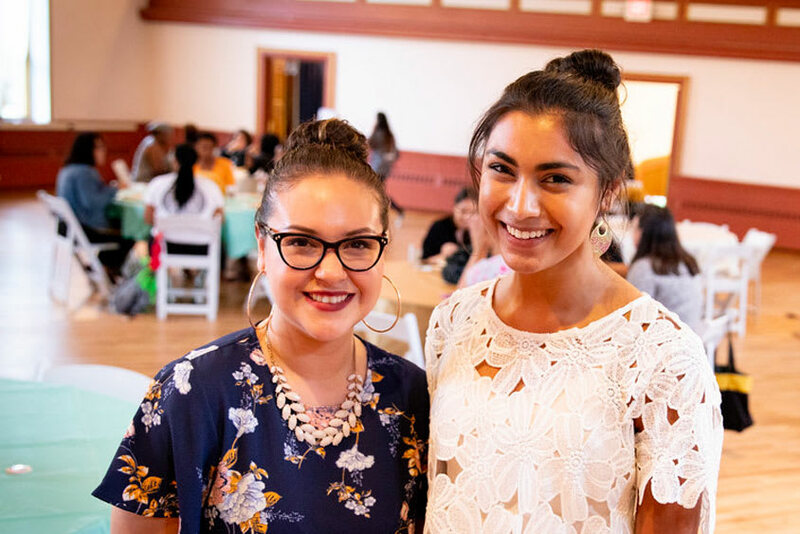 Cover the cost of dinner for one student at a monthly Womxn of Color gathering. Covers the cost of one book for the new Womxn of Color Network collection in the Women's Resource & Action Center's Sojourner Truth Library. Covers the cost of beverages and snacks for one mid-month Womxn of Colour lunch gathering for faculty and staff. Supports wages for a student intern staffing for one monthly Womxn of Color event. Sponsor one semester's worth of Womxn of Color Network materials. Sponsor one monthly Womxn of Color Network dinner. Sponsor one guest keynote speaker for a Womxn of Color event / open to all students and the community.